Families complain they are being stripped of their ancestral lands to protect the shrinking tiger stock, decimating traditional ways of life. BHUBANESWAR, India, Feb 15 (Thomson Reuters Foundation) – The tigers that roam the dense forests of eastern India have more clout than the people they live alongside, tribal activists say, as a drive to boost lucrative wildlife tourism trumps the rights of poor indigenous villagers. Tiger and man both exist in dwindling numbers in Similipal forests, with a race now on to see which mammal will win priority in the place both call home. “Why are indigenous people being asked outright to leave without even attempting to explore reasonable options of co-existence with wildlife?” asked Sanghamitra Dubey who works with an informal Indian advocacy group for forestry rights. Dubey said families had been stripped of their ancestral lands to protect the shrinking tiger stock and traditional ways of life – such as ancient rope plaiting – had been decimated. India has about half the world’s estimated 3,200 tigers in dozens of reserves established since the 1970s, with some of the designated land shared with ancient tribal villagers. Wildlife tourism is a growing money maker for India though conservationists are divided as to whether travellers help protect threatened species or encroach on their habitat. Last November, hundreds of families from 44 tribal villages were asked to leave their homes to ensure the security of a local tiger habitat. The villages, spread over hills and valleys around Odisha’s Similipal Tiger reserve, had secured rights to the area – nearly 25,000 hectares of woodlands – just months before. 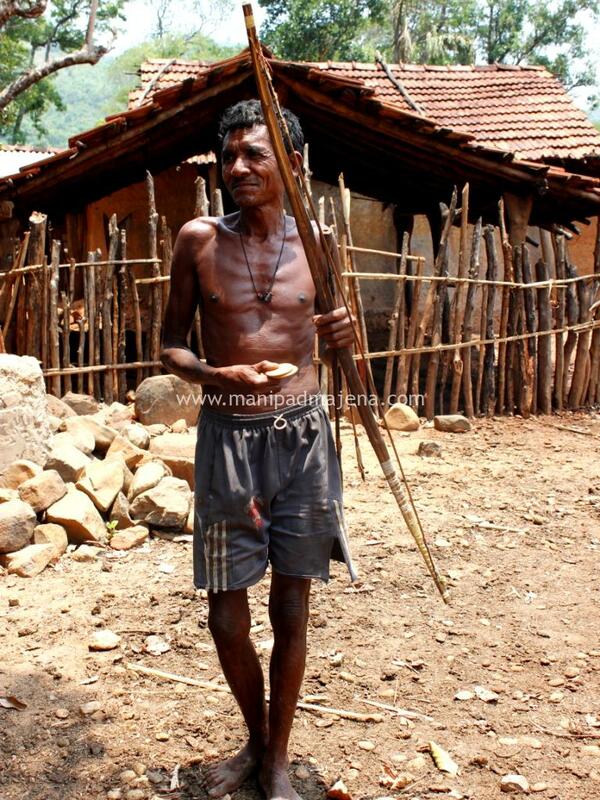 Under India’s Forest Rights Act of 2006, tribal households can harvest and use forest resources to maintain their ancestral livelihoods. Anup Kumar Nayak, a senior forest officer in Bhubaneswar, told the Thomson Reuters Foundation that wildlife protection laws forbid humans from living within critical wildlife habitat or what is deemed the ‘core zone’ of a national park. He said relocations are voluntary but a number of villages around Similipal were in the ‘core’ habitat zone or so close they were “as good as inside it” and would need to move. “(Only) the buffer zone is for human-animal co-existence” Nayak said. Yet activists say Indian wildlife protection laws stipulate there must be scientific evidence that human activity is irretrievably destroying tiger habitat before any relocations. Villagers reported a visit in November by parks officials who offered them a one-off payment to leave their homes and lands under a plan to clear forest lands of human activity. Tribandha Barja, a member of a 144-tribal household in Khejuri village on the outskirts of the reserve, said most people refused the payment. “(They told us) take one million rupees ($14,960) keep it in the bank and live better with the bank interest,” Barja told the Thomson Reuters Foundation. Dubey, of advocacy group CFR, said 50 families in the neighbouring village of Kiajhari were also targeted for re-location. “It is not even close to the core zone,” Dubey said. Official figures show the tiger reserve covers about 2,750 square kilometers (1,062 square miles) of dense forest and rich, bio-diverse land and adjoining forest that is used by other wildlife as a corridor. Authorities estimate that 10,000 people live within the park and in buffer-zone areas, while half a million people in 1,200 villages live in a 10-km radius around the park. Odisha’s 10-year tiger conservation plan suggests that a population of 80 to 100 tigers need an inviolate space of between 800 and 1,000 sq km. Nayak said the relocation programme follows this plan. However after 43 years as a protected area, the official Odisha government tiger count last year found just 26 Royal Bengal tigers in the Similipal reserve. In the village of Jamunagarh, in the park’s ‘core’, just three families of more than 35 families have decided to stay on and continue to use the land they won in 2015. The others chose to take the compensation and move away. Telenga Hasa, one of the holdouts, told the Thomson Reuters Foundation that neighbouring families had been paid one million rupees ($14,960) via bank deposit in September 2015 – of which 30,000 rupees ($449) was paid in cash. All are still waiting to be allocated the two acres of farmland they were promised. “Now they have no forests, no farm land and no livelihood …how can they live with dignity?” Hasa said, adding that another 25 families who live in the hillside village of Bakua have decided to stay on, too. Deepak Pani, a spokesman for the activist group Gram Swaraj, says the Mankidia and Khadia – two nomadic forager groups – are the worst affected. He said the Forest Rights Act is supposed to protect their ancient cultural and livelihood traditions, but had not been enforced. Arun Mankidia, whose family live in Dengam village on the outskirts of the tiger reserve, said his people have been forced to abandon their ancient rope-making traditions. The rope, plaited from a sacred grove creeper known as ‘siali’, which grows in abundance in the park, is very strong and in high demand among farmers in rural areas. Now, local families have been forced to buy plastic potato sacks at three rupees ($0.04) each so they can painstakingly unravel the strands and re-plait them into ropes, which are sold for little more than their cost.